Bronwyn Scott is a pen name for Nikki Poppen. Nikki lives in the Pacific Northwestern United States, where she is a communications instructor at a small college. She enjoys playing the piano and hanging out with her three children. She definitely does not enjoy cooking or laundry�she leaves that to her husband, who teaches early morning and late evening classes at the college so he can spend the day being a stay-at-home daddy. Nikki remembers writing all her life. 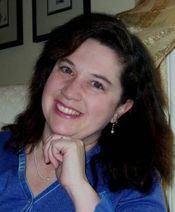 She started attending young-author conferences held by the school district when she was in fourth grade and is still proud of her first completed novel in sixth grade, a medieval adventure that her mom typed for her on a Smith-Corona electric typewriter! She has since moved on to RWA conferences and a computer. She loves history and research and is always looking forward to the next story. She also enjoys talking with other writers and readers about books they like and the writing process.